The month of May is filled with lots of good things- Mother’s Day, the birthdays of my brother, aunt, sister-in-law, and Q, and now my brother and wife’s anniversary. Plus there’s a long weekend thrown in so it’s a great month! Other excitement of the month: A quick trip to Cleveland for a few days for a work conference. A new city ( and state!) for me so even though it’s a quick trip, I’m looking forward to exploring a new place. After house frustrations and feeling incredibly overwhelmed by some house projects, Q and I are not set up with a great landscaper to come deal with some of our outside issues. Just knowing this is happening has eased my mind tremendously. This particular Friday in May is particularly celebratory as I’ve paid off the last of my credit card debt!! I feel like there should be a badge or something for that. Plans for the weekend include celebrating my former boss tonight at a birthday party for him, then another celebration on Sunday for my brother and Mom. Lots of fun and good times happening and so much to be thankful for in my life. My noticeable absence lately is a sure sign that even though things slowed down at my day job, life has continued to flurry about. I’m behind on about 75% of things-everything from cleaning, laundry, and other adulting bits. Some of it is burnout, some of it is stress, some of it is the feeling that changes are happening/coming, and I’m turning inward to try to make sense of it all. Vague on purpose, but more to come. Instead of dealing with some of the aforementioned issues, my mode of operation is avoidance and then pushing interest ( or obsession?) to other things. So instead of figuring out what the heck is going on with life, I’m obsessing about dinner lately. Meal planning has been occupying my mind, especially as I try to eat more vegetables and cut out more meat. The problem is my carnivore of a partner with an appetite like a lumberjack, so I’m trying to find ways to make enough food for him and healthy options for me without feeling like I’m running a restaurant every night of the week. Very much looking forward to Game of Thrones this weekend. 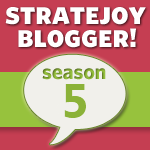 We spent the week catching up on last season. I never would have thought I would like this show. Still don’t think I’ll get around to reading the books though. Speaking of TV, are you watching The Americans? We only got into the show in the past month or so when we got Amazon Prime and watched all the previous seasons, just in time for the current one that started in March. I think it’s one of the best on TV and this week’s episode was stellar. Weekend plans include some yard work, decluttering and dropping off, and other chores I have been avoiding, as well as some family time before my mother is off to Italy ( very proud of her for taking this group tour). In honor of women’s history month, a 5 on Friday filled with some interesting females, a favorite topic of mine! 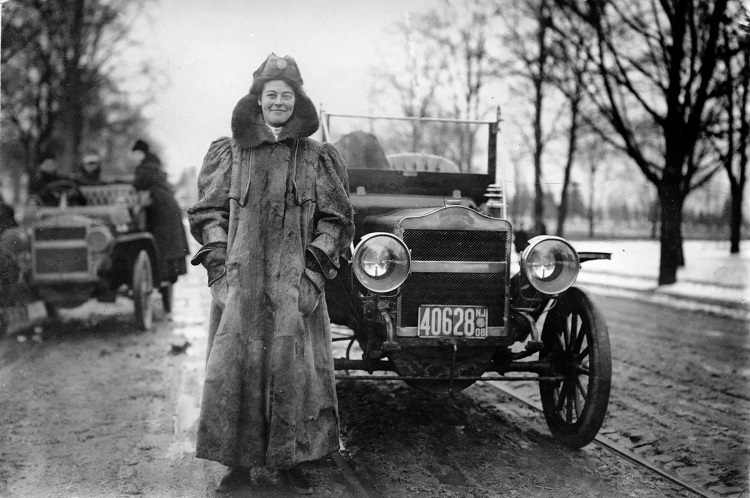 Alice Ramsey- In 1909, she became the first woman to drive solo across the United States- it took her 59 days! 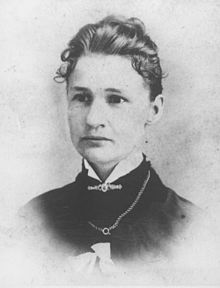 Susanna Madora Salter: The first female mayor in the United States, elected in Argonia, Kansas, in 1887. Beatrice Turner: An artist who never married so of course people think she is a recluse ( she wasn’t), but she did have some weird habits and eccentric behaviors. I only recently learned about this woman and am anxious to learn more. 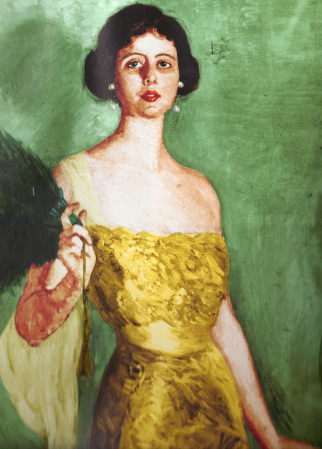 Sara Delano Roosevelt: Mother to FDR. The entire Roosevelt family is fascinating to me ( check out Ken Burns documentary on them), but FDR’s mother is quite an interesting character. 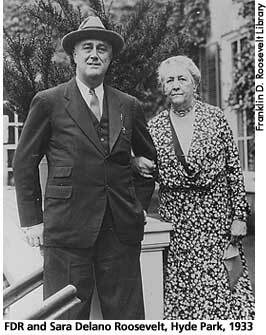 FDR was certainly her prized child and she made Eleanor Roosevelt’s life quite difficult at times. 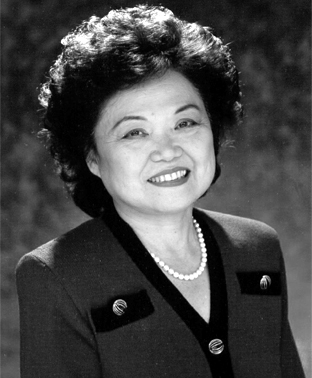 Patsy T. Mink: First woman of color and first Asian American woman in US Congress- and from Hawai’i! She was one of the main legislators responsible for the passage of Title IX in 1972. * If you follow me over on Twitter, you may have seen my tweet last night about avoiding laundry. Seriously, I cannot stand it. I put it off until I can’t any longer and then spend the night whining about it. Other domestic chore I hate- ironing. Also not high on the domestic chore list- dusting ( but I’d still do it any day over laundry). *Domestic chore I love- washing dishes. In the sink or dishwasher, I’m a fan. Washing them in the sink is almost meditative to me. I know, I’m a bit of an odd duck sometimes. * Another thing I said over on Twitter, but want everyone to know– The Imitation Game was an awesome movie. Seriously, probably one of the few I’ve really enjoyed from start to finish in a long time. Fascinating story of World War II code breaking, but really it’s a character study of Alan Turing, who has a remarkable life story. * A sign that Q and I maybe need to get a life– free Showtime this weekend on cable so we can binge watch the last season of Homeland. We binge watched season 3 and the start of season 4 with the last free weekend months ago, anxiously awaiting the free weekend again. Yea, just writing this I realize we need hobbies. * I have that spring fever itch to throw out everything in my house and clean every single thing. Q asked last night if this will happen every April, which of course, yes. The urge to declutter will always be there for me, even if I don’t do anything about it. I’m even contemplating taking a day off from work just to clean and organize. Yep, really need a hobby. Here’s to a great weekend for you! * It’s Friday and raining here, though for the first time since CHRISTMAS, it’s over 55 degrees. I know it’s boring to talk about the weather, but it’s been such a weird, wacky, and long winter here in my neck of the woods, that it’s hard NOT to talk about it. * I haven’t been very good about posting some of my favorite internet finds, mostly because I’m trying to get in the habit of reading things right away instead of letting them linger in the blog reader for months. As a lover of fashion history, this article about the old animated Disney Cinderella movie and the influence of Christian Dior’s post-World War II fashion was quite interesting. I have not yet seen the new live-action Cinderella, but it’s on my radar. * With my love of women’s history ( or herstory! ), I found these tidbits about presidential marriages quite interesting. I’ve read a bit about Edith Wilson before, but didn’t know much about the other wives. First Ladies fascinate me because of their roles as both wife, diplomat, entertainer, and so on. * Recent movie watching: Interstellar ( interesting but way too long, though didn’t have half a clue what they were talking about– not surprising since I almost failed high school physics), Birdman( can see why so many nominations, but was a bit confused sometimes too), Foxcatcher ( also way too long, but fascinating, yet creepy). This weekend will be some kid movie watching with Little Man, but also The Imitation Game. * Easter weekend will be low key, likely with decorating Easter eggs with Little Man, maybe a little egg hunt if the weather cooperates, and family dinner on Sunday. Hoping to maybe get out into the yard and see what kind of mess awaits us when we get around to spring cleanup. Enjoy the weekend and have a great Easter! 1. Seeing as this was my first full work week since January 5th, I’m exhausted today. I was so spoiled with snow days, holidays, and days off. Considering I’m pushing into my busiest time of year at work in the next few weeks, I’m trying to take as much time for myself to relax as I can. 2. Spring, please come soon. 3. I don’t think I’ve mentioned that I finally joined the 21st century and got an iPhone back in January. Or maybe I did? My level of exhaustion can’t remember which end is up. I miss my flip phone only a little, but was so thankful for the iPhone last weekend when I got lost on my way to anti-gravity yoga. 4. I finally bought new snow boots after 5 or so major snow storms made me realize how deficient my other boots were. I had hoped that buying them would trigger some cosmic force that would stop the snow from coming again, but we’ve had a few inches since, plus some nasty slush stuff. Sorry it didn’t work! 5. This weekend is for getting some fun errands done with Mom while Q works, celebrating my birthday a little early with the family, and doing some house brainstorming about some changes we’re thinking about. And of course, sleeping in and hopefully a nap! 1. I have had so much going on with work in the past few weeks, I feel like I haven’t had the head space for much else, hence the lack of blog posts. I had up for a few hours the other day that I was going to take a blog break for this month, then decided against it, but with more busy times ahead, that sort of may still happen, but I’m trying to learn to handle it all, so who knows. The jumbled nature of all those sentences might be an indication to the frazzled state of my brain. 2. This frazzled brain is very excited for my three-day weekend. I work at a non-profit organization in Rhode Island and that state is the only one left in the United States that still celebrates Victory Day. What’s that? It’s the now politically correct name for Victory over Japan Day from World War II. It makes very little sense why it’s still celebrated here, but I guess every state has its random state holiday day off, and I’m very thankful ( and very in need) of this one. 3. There is much excitement on the horizon- this 3 day weekend, my upcoming road trip with my mother, Q’s son starting kindergarten, big changes at work, and some professional development stuff for myself that I can’t wait to talk about ( but have to wait on for right now, but it’s exciting). 4. The weather has been sort of great this summer- no super humid, hotness that makes you feel gross just breathing, for which I’m thankful because I become a sweaty, cranky mess ( or beast) on those days. I haven’t made it to the beach yet ( a crime for where I work and live), but I’m hoping to rectify that on my day off Monday ( maybe). It was actually pretty cool here this morning, something like 59 degrees, which seems odd for August, but I kind of love it. 5. Q & I have a odd love of the show Wipeout. How’s that for a random Friday fact? 1. I have spent the past few weeks clearing out/decluttering at both my parents’ and grandmother’s house. At my parents’ house, my Dad had held onto some pretty random things in the basement and shed; at my grandmother’s, she had pretty much fifty years of stuff in the place. We had dumpsters for both and there was kind of an amazing feeling throwing out junk. We donated so much stuff to various places and had a yard sale last weekend and another tomorrow. Mostly, this makes me never want to buy a single thing ever again, plus makes me want to get rid of so much of my own stuff– 4 boxes so far, plus more clothes that I already donated. 2. As part of trying to rein in my budget and savings more, as well as inspired by all the stuff of these cleanouts, I’ve been having a no-buy June. So far, so good ( though our grocery bill this past month has been over budget, mostly due to my poor planning/laziness), though as a result of this and the closet purging, I’ve noticed some huge gaps in my wardrobe that I’m hoping some yard sale revenue will cover. In all my pairs of shoes, I don’t have any brown shoes for the summer ( how did that happen?) I think if I have learned anything in all this decluttering and purging is that one only really needs the basics with a few extras thrown in for fun. 3. 3 words: Leingkugel’s Summer Shandy. So good. 4. After spending pretty much the entire month of June, plus a weekend in May, on cleanouts and getting rid of stuff, we’ve decided to do pretty much nothing else for the rest of the summer. Our garage and fence stripping/painting project is going to wait til September, at least. 5. With all the cleanout stuff and the ridiculous amount of pollen blowing around, we were a little behind on getting the patio furniture out, but we finally did last weekend, which was perfect timing for the one random hot day we had this past week. It was so nice to sit outside after work with some iced tea and a magazine, but I forgot how loud my yard can be at that time of day with the main road behind us. Maybe I’m just becoming a cranky old lady, but my tolerance for loud neighbors and road traffic is waning and I found myself dreaming of a quiet house in the woods lately. Someday maybe. 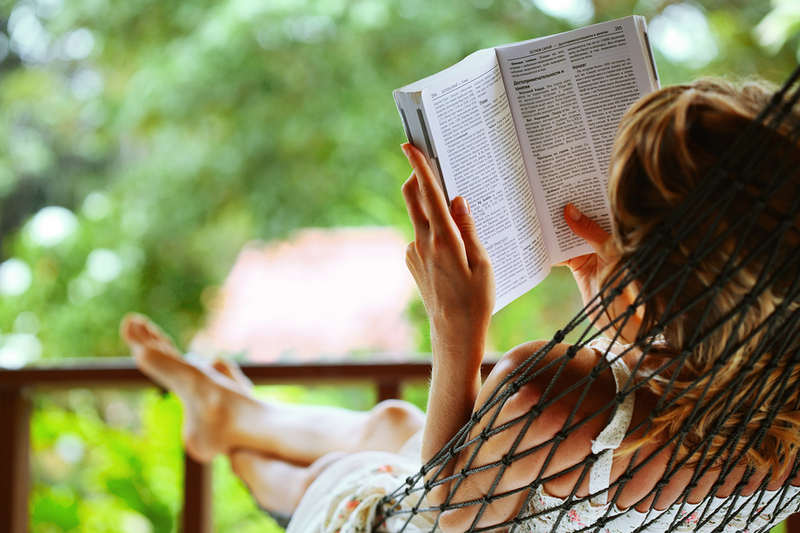 Wishing you a happy weekend and the official start of summer!